The 1987 NHL Entry Draft was held on Saturday, June 13, 1987 at Joe Louis Sports Arena in Detroit, Michigan. West Division teams drafted in reverse order of their 1968-69 finish in the standings, while East Division teams reverted back to the rotating draft order from 1967 while accounting for 1968 with teams moving up two positions each. ​The Montreal Canadiens, who had the option to take the first two French-Canadian players in the draft in lieu of their regular picks, chose first and second overall, taking right wing Rejean Houle and left wing Marc Tardif both of Montreal (OHA), respectively. ​​ The Pittsburgh Penguins, who finished with 51 points (20 wins) in 1968-69 - tied with Minnesota (18 wins), would draft second overall out of 12 teams in each round. On May 21, 1968, Pittsburgh traded its first round choice in the 1969 Amateur Draft (Frank Spring, RW, Edmonton) to Boston for Jean Pronovost and John Arbour. The Penguins traded their seventh round choice (Bob Collyard, C, Colorado College) to St. Louis for cash. They also traded their eighth round choice (Frank Hamill, RW, Toronto) to Montreal for cash. This would leave Pittsburgh with five selections in the 10-round draft as they passed on making a selection in the ninth and tenth rounds. ​​ Pittsburgh selected center Rick Kessell from Oshawa (OHA Jr.) in the second round with the 15th overall pick. Kessel played in parts of four season with the Penguins from 1969-70 to 1972-73 and made his NHL debut on March 21, 1970 vs. Chicago and scored his first NHL goal in the game. Kessell played the 1973-74 season with the California Golden Seals and finished his NHL career with 135 games played including 84 with Pittsburgh. Center Michel Briere from Shawinigan, QJHL) was selected with Pittsburgh's third round choice (26th overall) in the 1969 Amateur Draft. Briere played in 76 games for the Penguins in 1969-70 and made his NHL debut on October 11, 1969 vs. Oakland. He had one assists in each of his first three NHL games and scored his first NHL goal on November 1, 1969 vs. Minnesota. In the 1970 Stanley Cup Playoffs, Briere would lead Pittsburgh with five goals in 10 games including three game-winning goals. Briere was named the team's rookie of the year for his performance in the 1969-70 season with 12 goals and 32 assists. On May 15, 1970, Briere was critically injured in a car accident and later died of complications from his injuries on April 13, 1971. 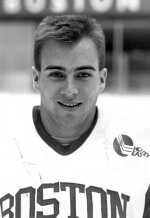 Defenseman Yvon Labre from Toronto (OHA Jr.) was the Penguins' fourth round choice (38th overall) in the draft. Labre played 37 games for Pittsburgh during parts of two seasons with the Penguins - 1970-71 and 1973-74. He made his National Hockey League debut on November 22, 1970 at Boston and scored his first NHL goal on February 13, 1971 vs. Chicago. Labre would go on to play seven seasons with the Washington Capitals from 1974-75 to 1980-81. He played in 371 NHL games and had 101 points (14 goals, 87 assists) and 788 penalty minutes. Ed Patenaude, a right wing from Calgary (WCHL), was selected by Pittsburgh in the fifth round (50th overall). 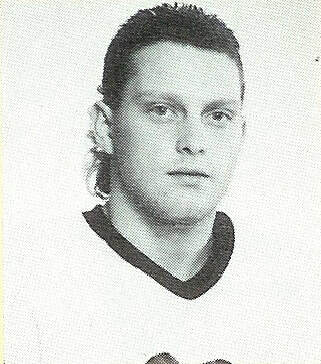 Patenaude never played for the Penguins, but would later play six seasons and 431 games in the World Hockey Association with the Oilers and Racers. ​ Goaltender Paul Hoganson from Toronto (OHA Jr.) was selected by Pittsburgh the sixth round (62nd overall). Hoganson appeared in two games with the Penguins during the 1970-71 season making his NHL debut on March 19, 1971 at Vancouver. He made his first and only career start the next night at Los Angeles and gave up four goals on five shots before being pulled. Hoganson would go on to play in 143 games in the World Hockey Association.